Film Independent, the nonprofit arts organization that produces the Spirit Awards and the LA Film Festival, handed out honors to Moonlight, The Witch, Other People, Manchester by the Sea, Elle and Hell or High Water at this afternoon’s 32nd Film Independent Spirit Awards. Spa Night, O.J. : Made in America and Toni Erdmann also received awards at the ceremony, which was held in a tent on the beach in Santa Monica. In addition to being the celebration that honors artist-driven films made with an economy of means by filmmakers whose films embody diversity, innovation and uniqueness of vision, the Spirit Awards is the primary fundraiser for Film Independent’s year-round programs. The ceremony aired live today on IFC. Over the past 32 years, the Film Independent Spirit Awards has made a name for itself as the premiere awards show for the independent film community. 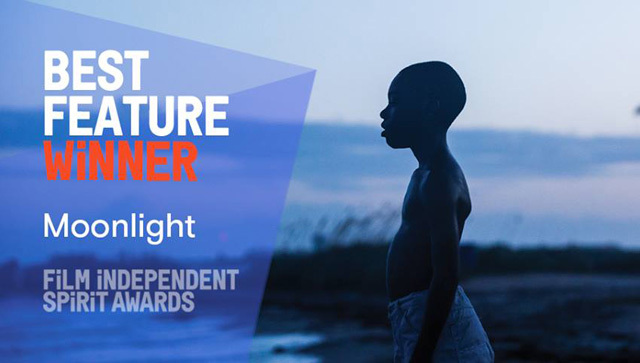 Artists who have received industry recognition first at the Spirit Awards include Ava DuVernay, Justin Simien, Ryan Coogler, Joel and Ethan Coen, Spike Lee, Oliver Stone, Ashley Judd, Robert Rodriguez, David O. Russell, Edward Burns, Aaron Eckhart, Neil LaBute, Darren Aronofsky, Spike Jonze, Charlie Kaufman, Hilary Swank, Marc Forster, Todd Field, Christopher Nolan, Zach Braff, Amy Adams, Lena Dunham and many more. The following is a complete list of the winners at the 2017 Spirit Awards. The nominees list can be viewed here.